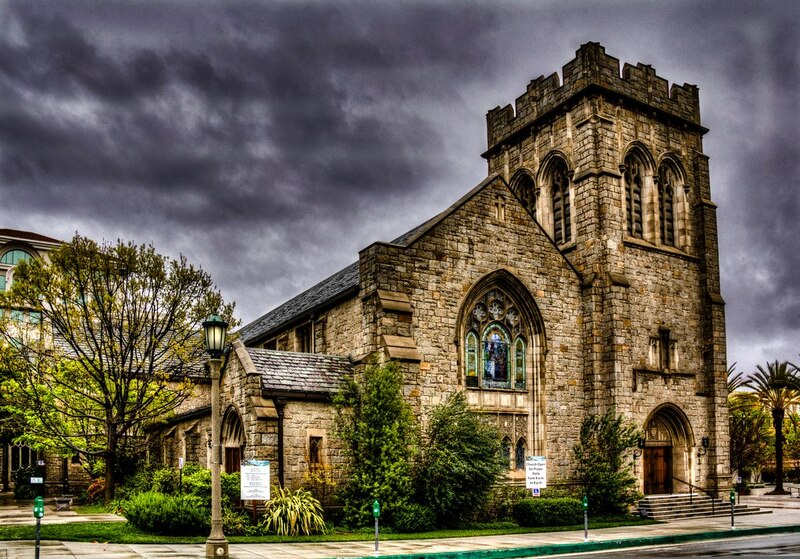 On December 15 the Muslim Public Affairs Council (MPAC) will have its annual convention at All Saints Episcopal Church in Pasadena, a prominent liberal parish within the increasingly liberal Episcopal denomination. It’s the first time MPAC has convened at a church. Last week a younger writer on national security issues named Ryan Mauro penned a column critical of MPAC’s radical connections in its past and questioned the church’s wisdom in hosting it. The article appeared in Frontpagemag.com and on the website of my group, the Institute on Religion and Democracy. On December 6, MPAC and the All Saints Episcopal convened a press conference at the church to denounce an ostensible “attack from right-wing extremists,” which seemed mostly to be Mauro’s article. In his original story, Mauro recounted that MPAC was founded by two brothers who had been active with the Muslim Brotherhood. One of the brothers, Maher Hathout, is still alive and active with MPAC, even joining the December 6 press conference at the church, where he affirmed his past history with the Muslim Brotherhood. Mauro quoted several MPAC personalities who over the years have praised Hamas and Hezbollah. During the recent Israel clash with Hamas over Gaza rockets, MPAC condemned Israel for “assassination” but also called for both sides to end the conflict, as Mauro described. Congratulations to All Saints Episcopal Church for extracting such extensive sympathetic media attention over several dozen unpleasant emails. Conservative groups and high profile conservative churches no doubt routinely get lots more hate mail. But they don’t typically call press conferences because they know there’d be no media sympathy and because they’re less adept at claiming victimhood. One All Saints Episcopal Church member told Huffington Post that he chose the church “because of their belief that everyone deserves love and respect no matter your political agenda, age, race, sexual orientation, religion or creed.” The church’s ultra-egalitarian agenda, with strong emphasis on gender and sexual liberation, is starkly at odds with nearly all of Islam, much less the more extreme Islam that some MPAC officials are accused by critics of abetting. Of course, this church, like most of the Religious Left, chooses to look the other way, preferring dreams about diversity to realities of culture clash. You can also access this article on the American Spectator website.